Here are my tourist photos from July and August. 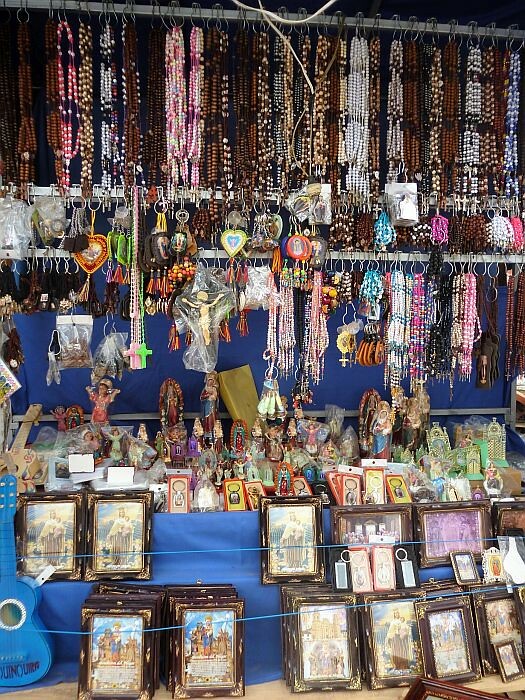 I started off in Cartagena in Colombia, then went to Minca up in the mountains, then went south to Bucaramanga. 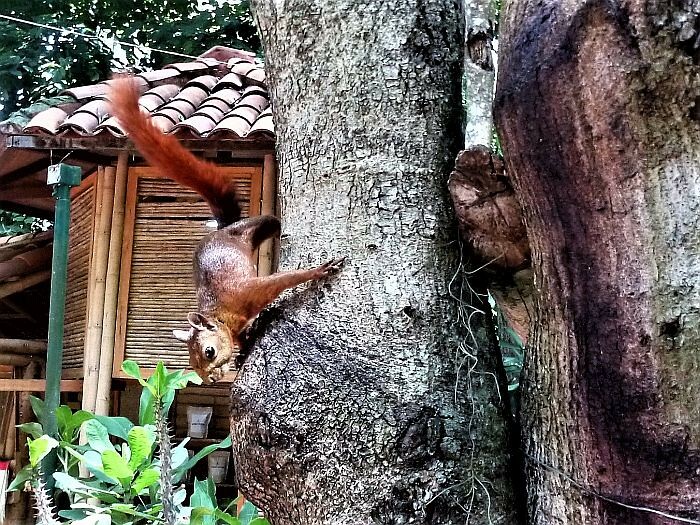 This squirrel was taken in the park at San Gil, just north of Bogota in Colombia. I stayed on a farm way out of town. It was so nice and peaceful. This is the old church in the hills of Colombia. 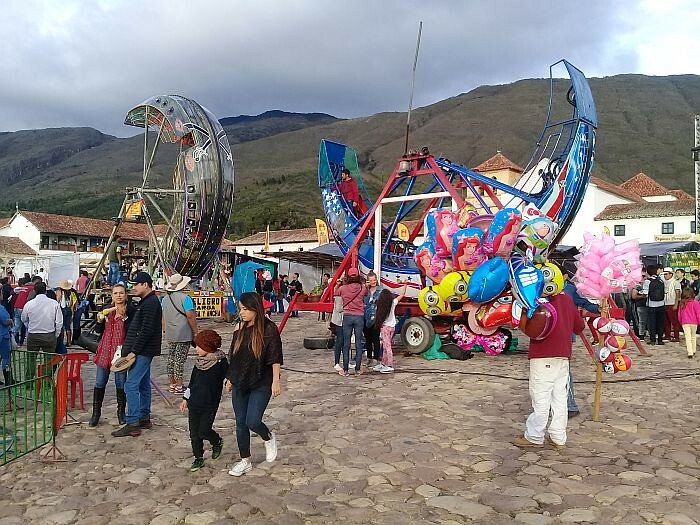 Villa de Leyva was a really nice little town. Very peaceful even though it was full of tourists for the festival. And as per usual, the carnies came with their fair ground rides. So funny. All over the world they make money off religion. It is a growth industry. Bogota, the capital of Colombia had crazy traffic. It was a nightmare trying to get around. A lot of cities are like that. 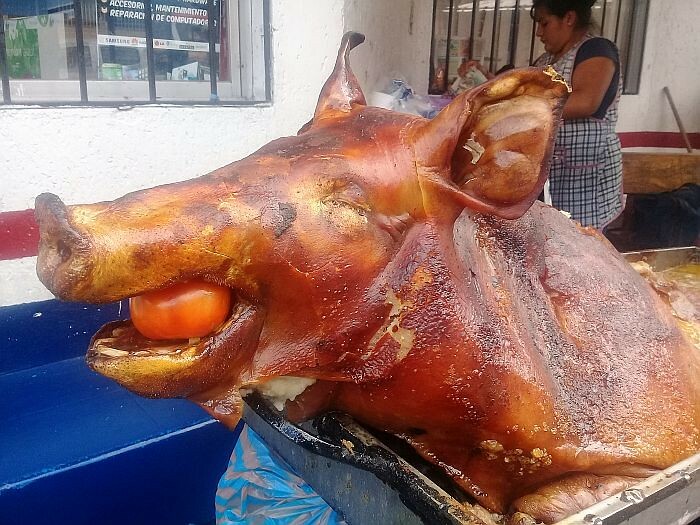 A pig cooking for lunch in the bus terminal in Otavalo, the first city I arrived at in Ecuador. It is high up in the mountains and lots of indigenous people live there. 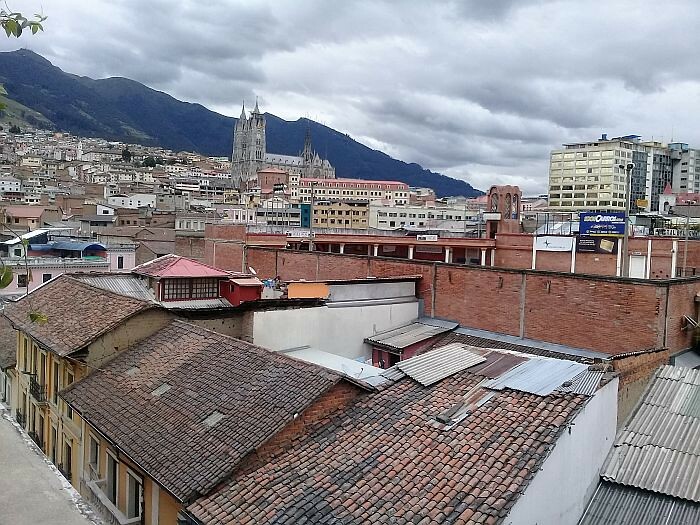 Quito, the capital of Ecuador. High up in the mountains and quite a nice city. I went for a whale watching boat ride at Puerto Lopez in Ecuador. We stopped at Isla de la Plata and did a hike over the hills. 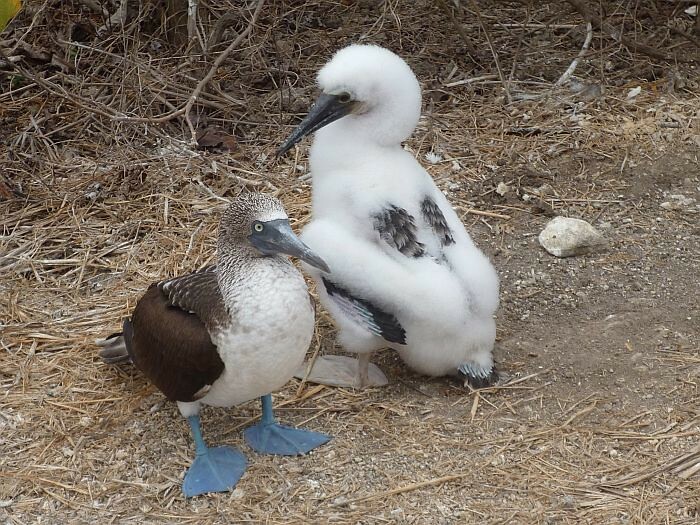 Lots of boobys and frigatebirds. 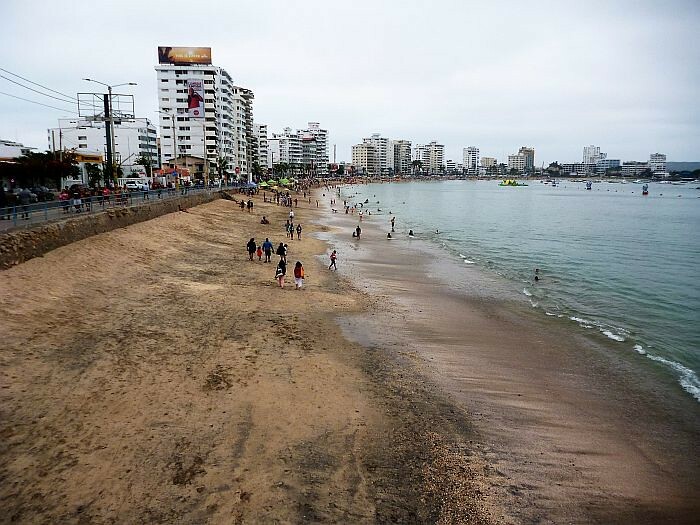 There were so many tourists at Salinas. It reminded me of the Gold Coast in Australia. But even more tacky. After Salinas I went to Guayaquil for three days, then today I caught the bus up the mountains to Cuenca and I am headed towards the Peru border. Once more into the breach. I got up a bit later this morning and headed off down the track about 7am. 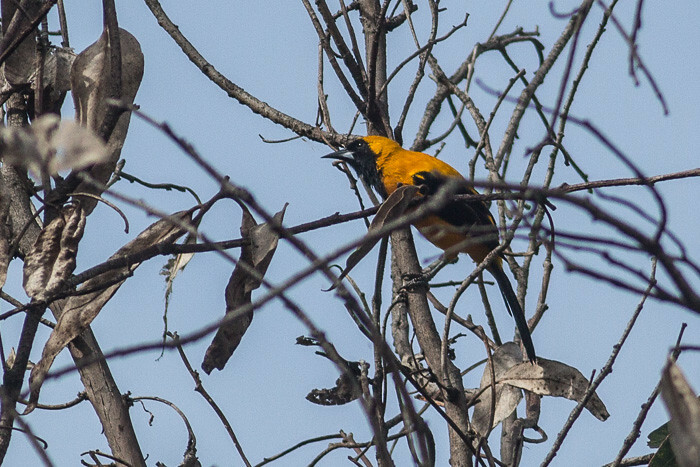 There were a few different birds around today. But not a huge amount as what I was thinking. doh! This was a good score. 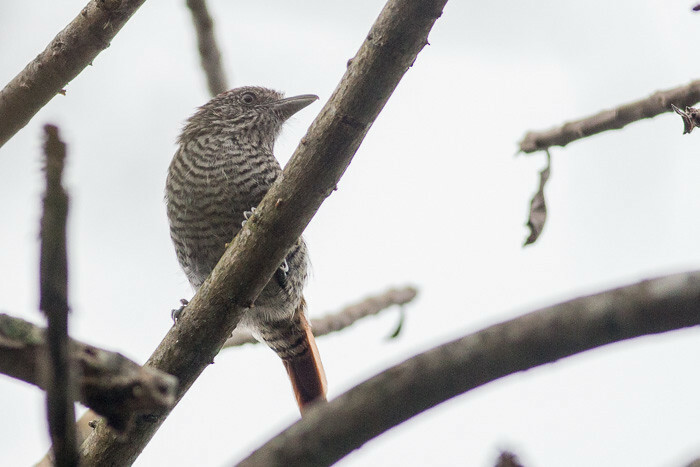 I had a good guess that it was something like an Antshrike. I think this is right. 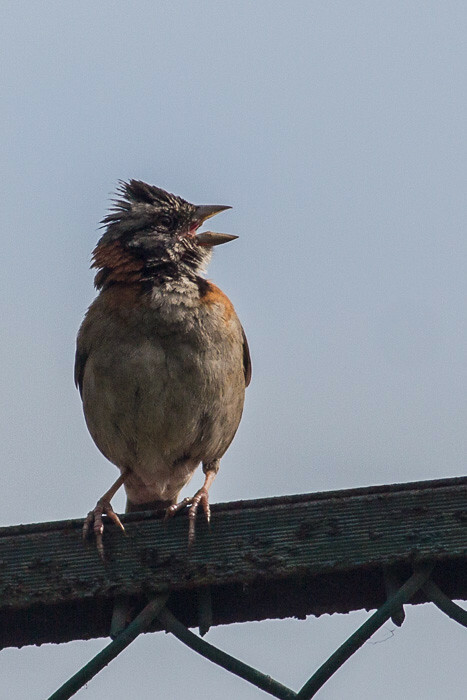 Ebird says they are around here. I may have seen this one before but for the life of me I cannot work out what it is. 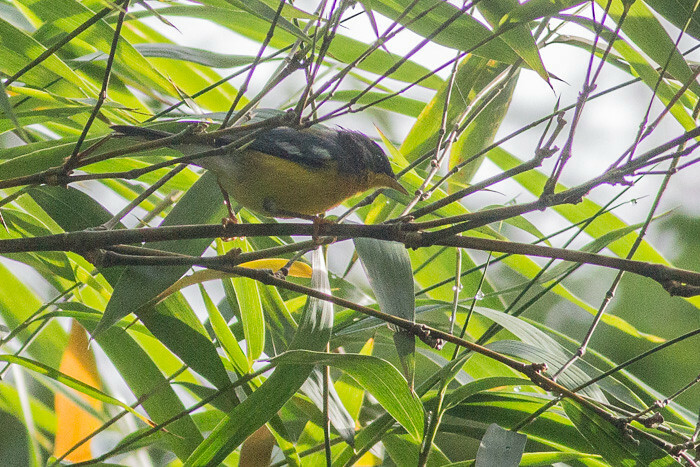 Edit: It is a yellow-bellied siskin (Spinus xanthogastrus), thanks Mathew for the idenification. 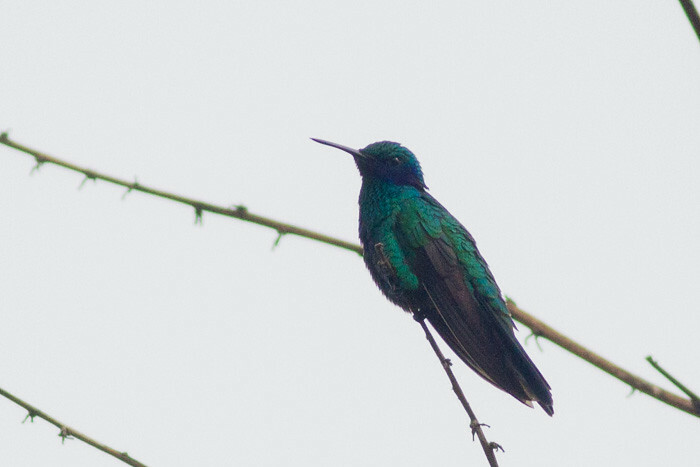 I thought it might have been a Green Violetear (Colibri thalassinus) but the Lesser Violetear has been seen in this area. I am not sure about this id. It had a white chest and a blue crown. More photos of these ones today. They seem quite common around here. Once again I think this is right. 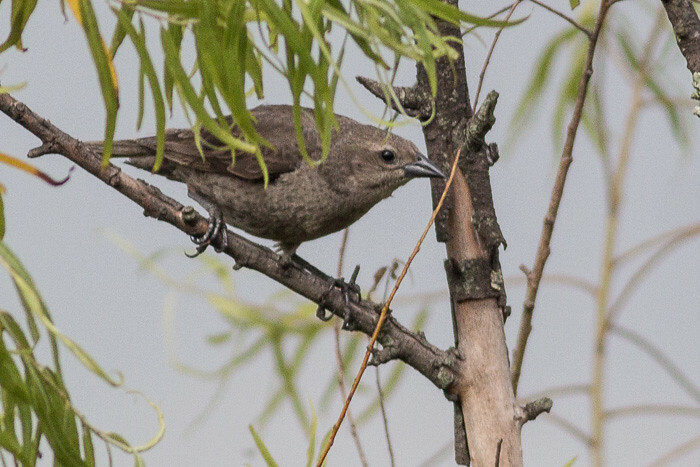 It might be a Conopophaga castaneiceps at a rough guess. This is the second part of my walk along the ridge line this morning at Salento, Colombia. The spanish name is Cucarachero comun. 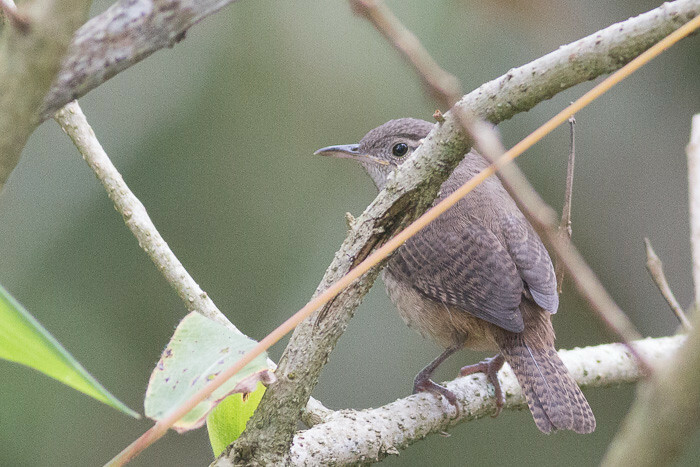 I think this is the first time I have photographed the House Wren. 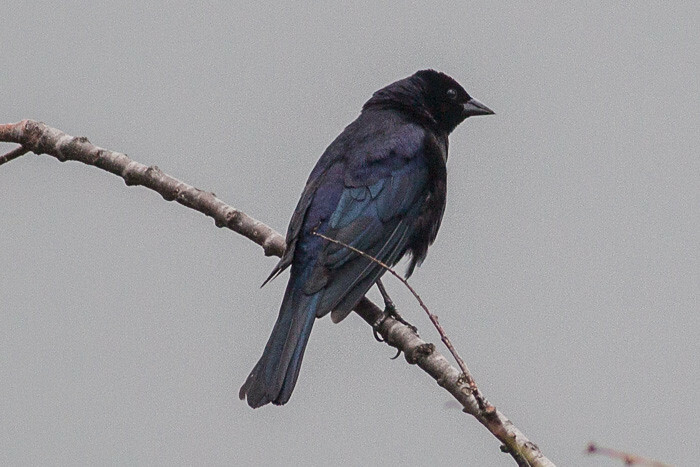 They are very common in North America I think. 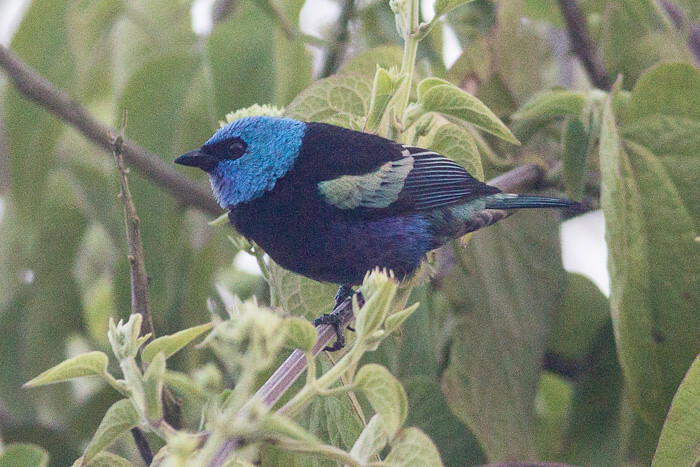 This is a better photo of the Bay-headed Tanager than the one in Part One. 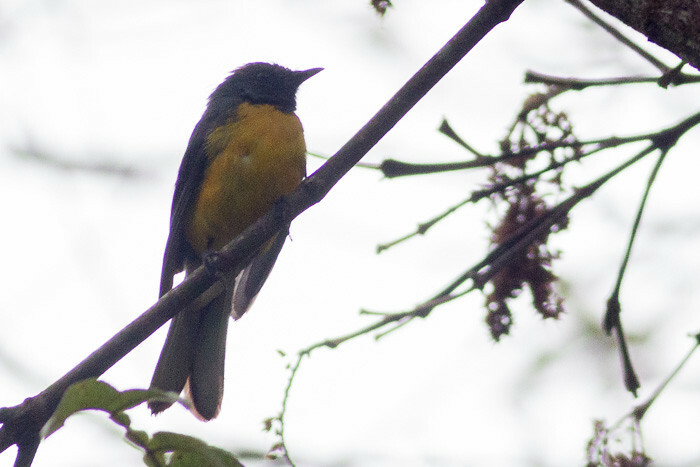 The Slate-throated Redstart has a white undertail and flashes it a lot like a fantail. 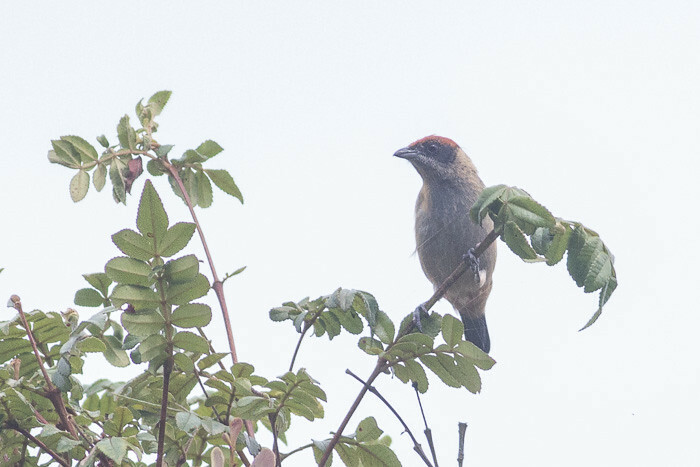 It has a yellow tummy, but more on that later and a bit of red on the crown. A bunch of Streaked Saltators were feeding on the lawn when I came back from the trek along the ridge. 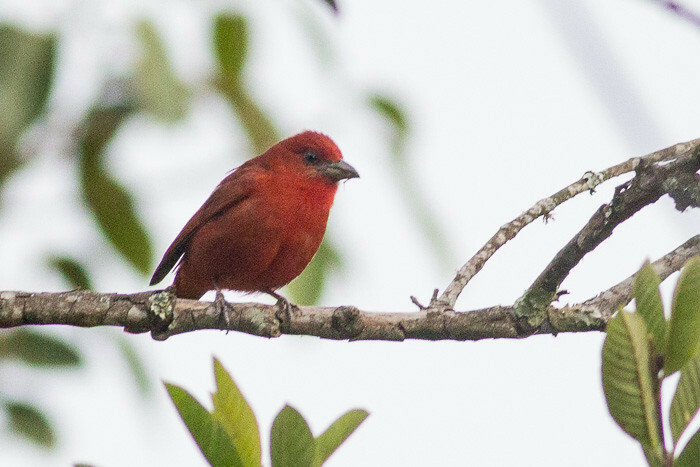 This Saffron Finch looks like it has a touch or leucism or something like that. After a marathon twelve hour bus ride through the mountains, I made it to Salento. It was at night when I got in so I started out early in the morning walking along a track just by the hostel. 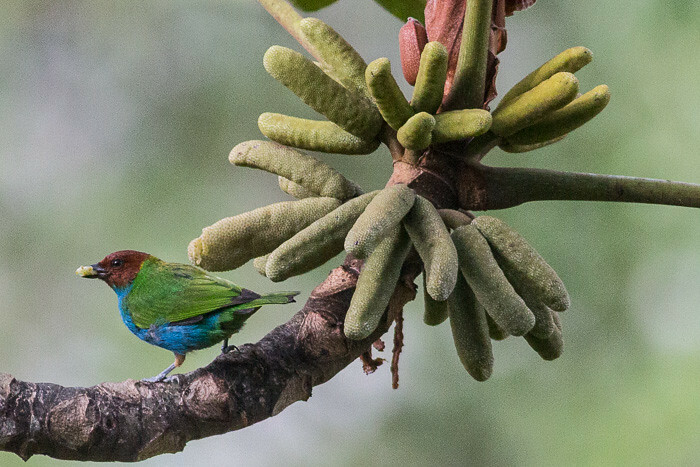 The Bay-headed Tanager is 14 centimeters long with a Yellow-green back. 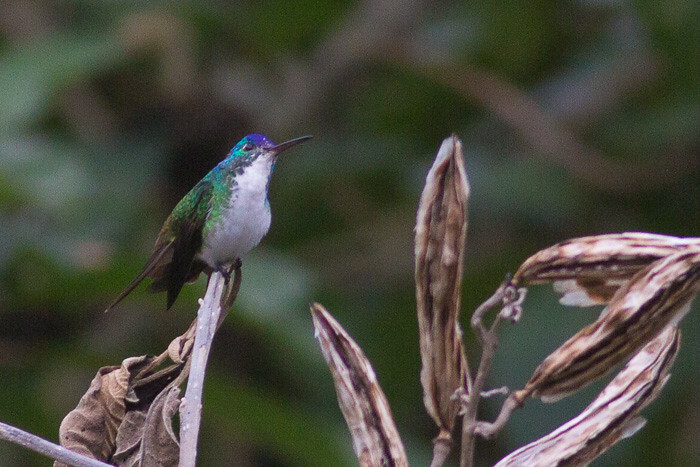 The head is reddish-brown with a front of turquoise blue. The bill is black. 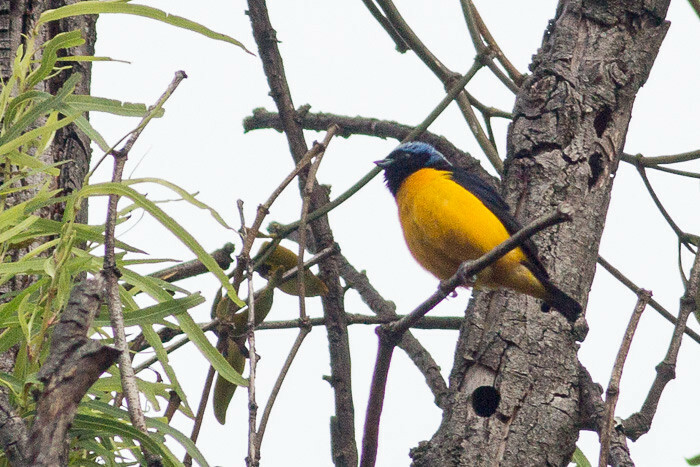 The spanish name is Tangara Lacrada. 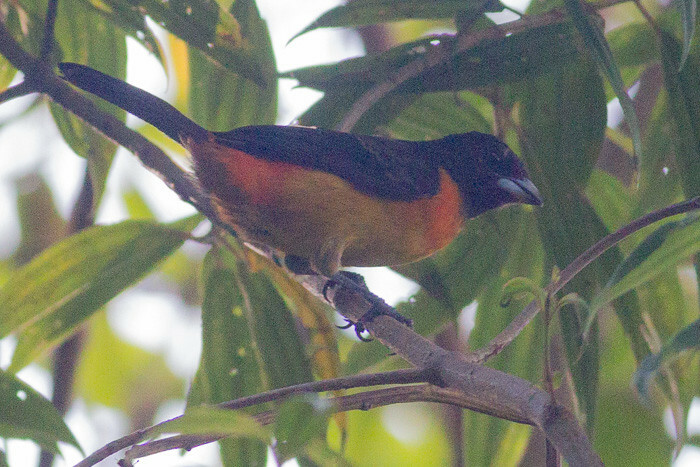 This is the female Flame-rumped Tanager. 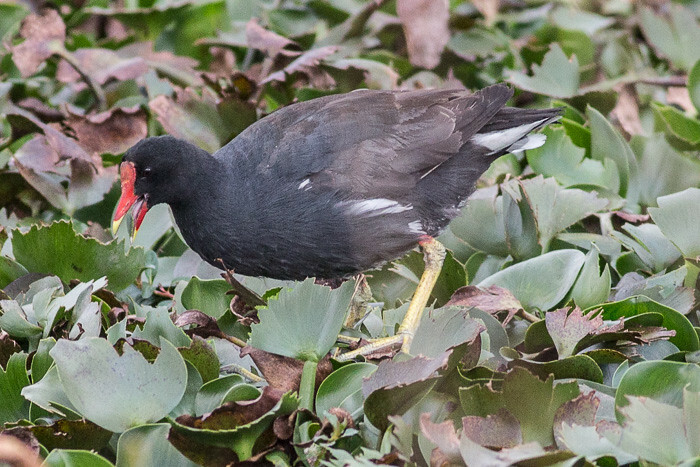 The male is all black with a red rump. 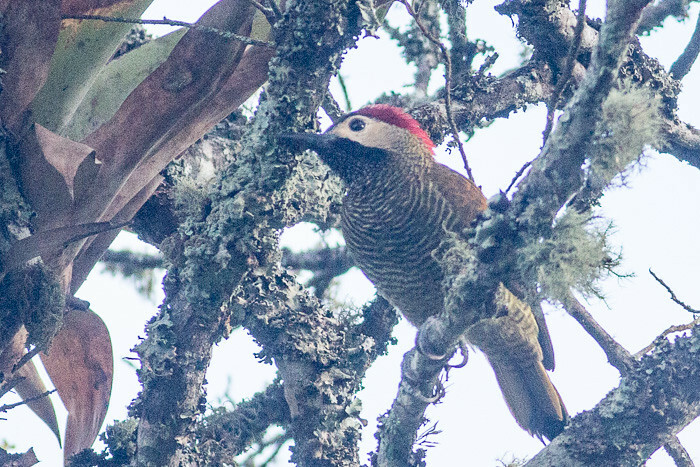 The spanish name for the Golden-olive Woodpecker is carpintero verdidorado. Thanks to Max for the id for this one. 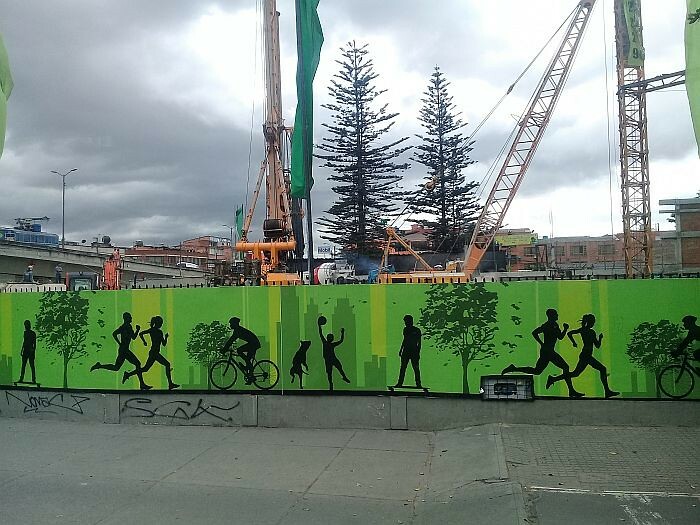 Parque La Florida , Bogota Part Two. 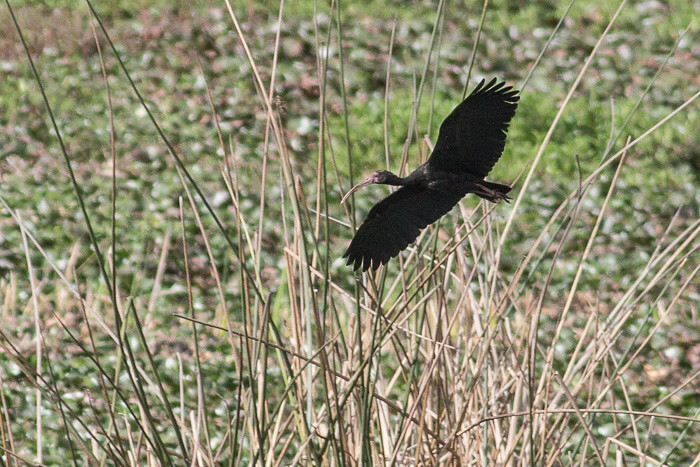 This is the second half of the photos I took today at the Parque La Florida, just behind the airport at Bogota, Colombia. 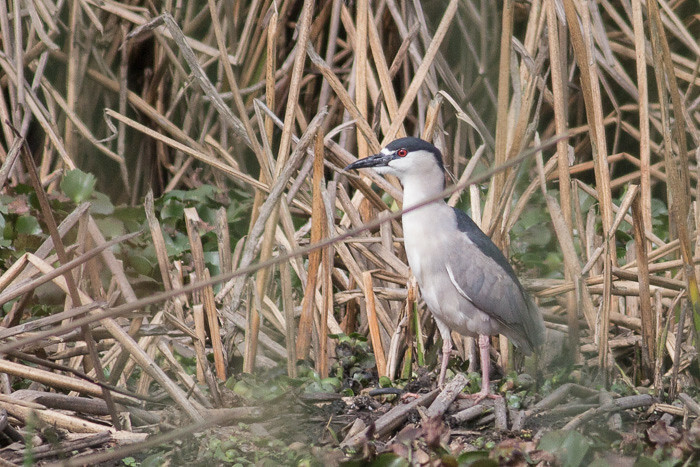 There is a really large area of wetlands with a path going right through them. 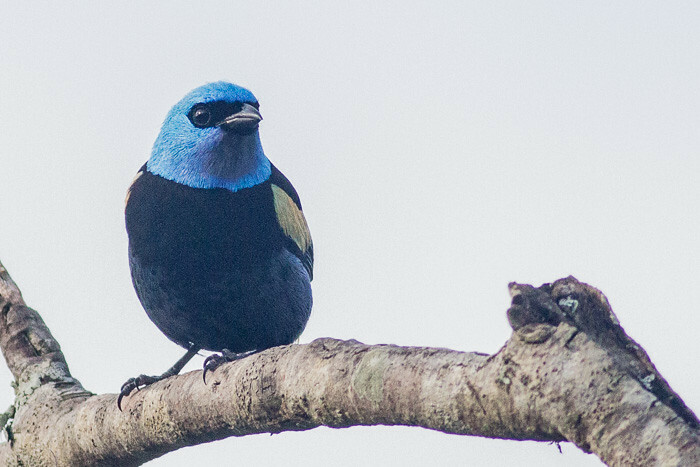 I could not believe it when I saw these amazing birds. They were so bright. 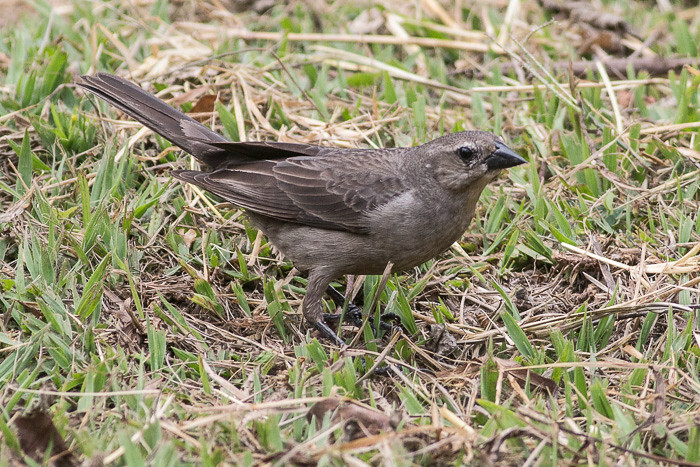 I think this is either a female or juvenile Yellow-hooded Blackbird. 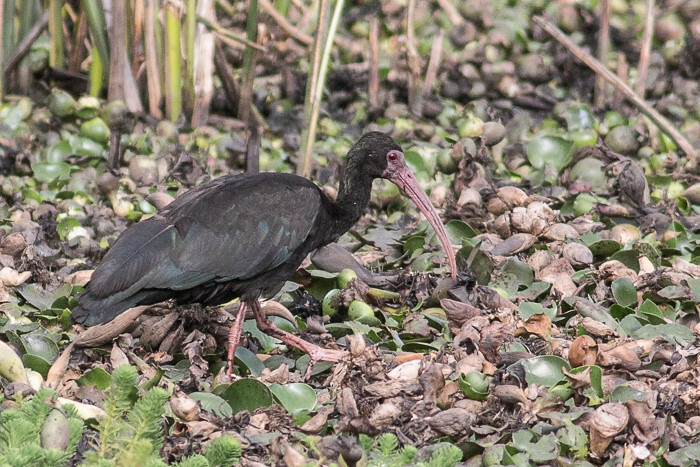 The male is all black and shiny while the female is all drab and brown. 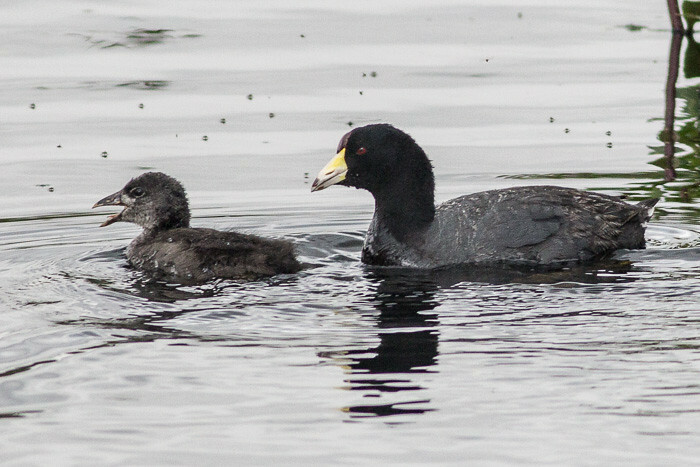 American Coot with a young one. I am quite surprised to see these. 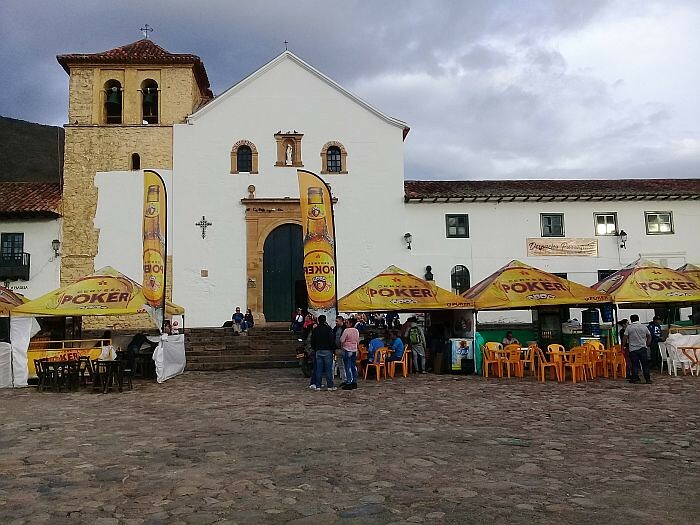 I got the bus from San Gil to Tunja, which took more than six hours. The scenery was quite spectacular with lots of big mountains and narrow ravines. The bus from Tunja to Villa de Leyva was much more relaxed. I arrived at my hostel and settled in. 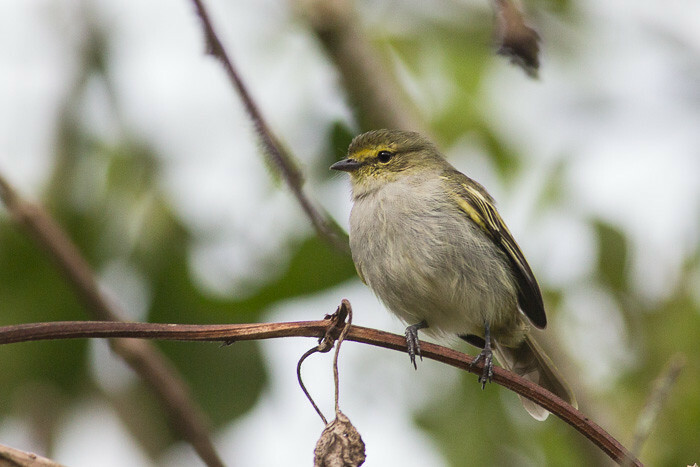 Then assembled the camera and set off up the road to some random bit of scrub on the edge of the village. 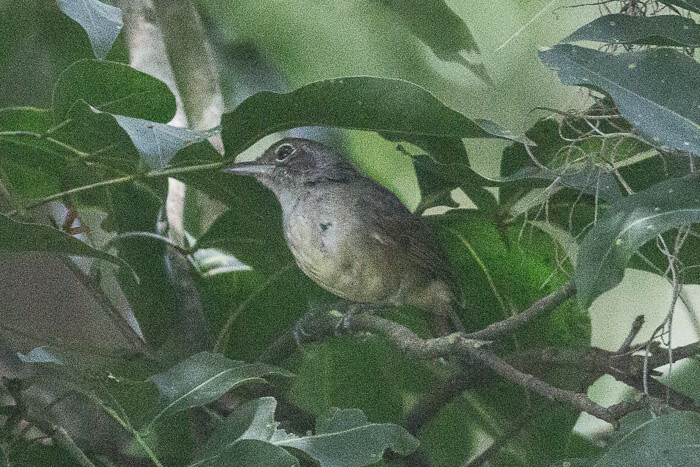 It did not take my long to identify this one. 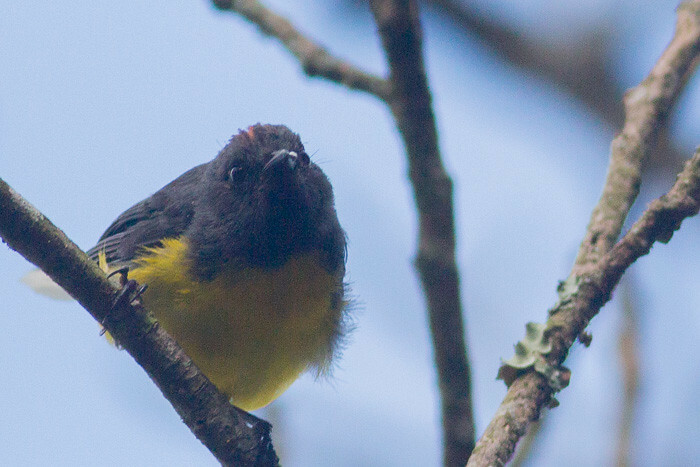 Just had a quick look at the Tanagers in the book and bang there it was. Easy Peasy. 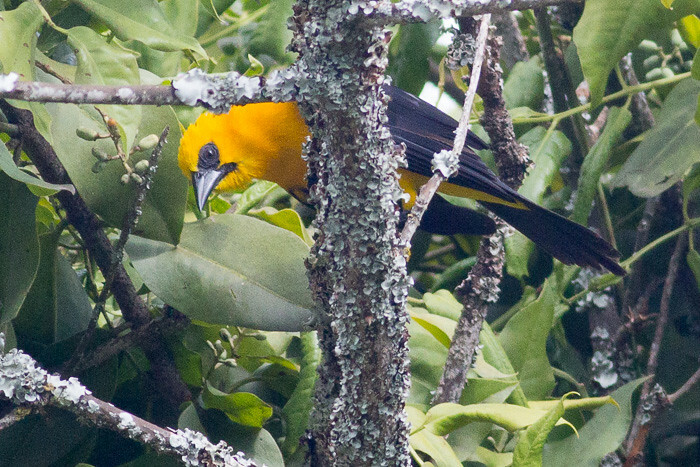 This Yellow-backed Oriole was quite a distance away high up in a tree. 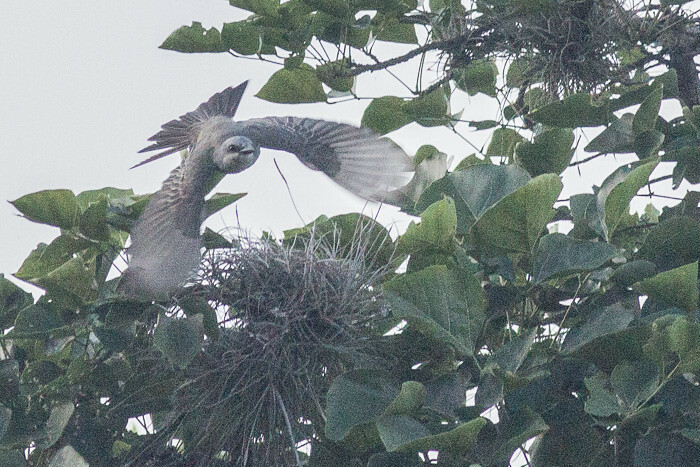 I was lucky I saw him and took the photos. 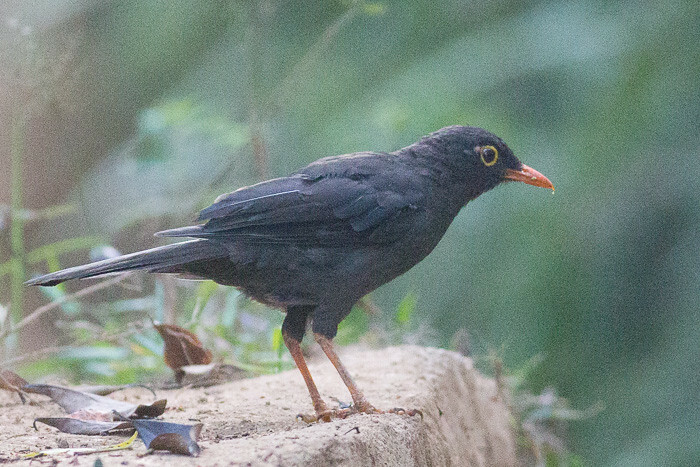 I have seen quite a few Turdus thrush in my travels and here is another one to add to the list. I cannot find this one. I will wait for someone who knows what is what. 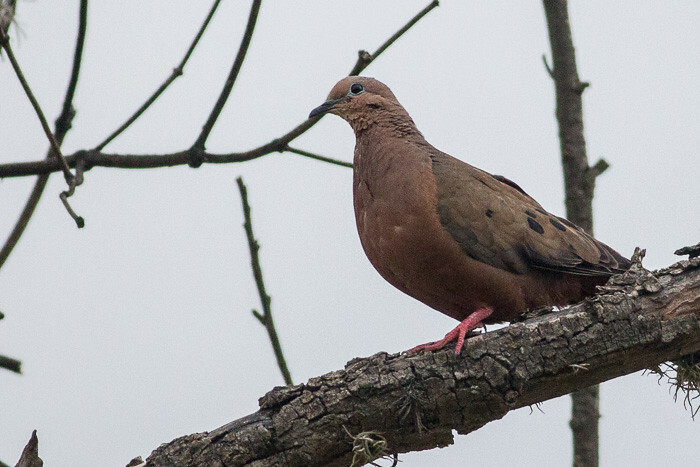 Edit: Thanks to Dave McLain for the id. Muchly appreciated. 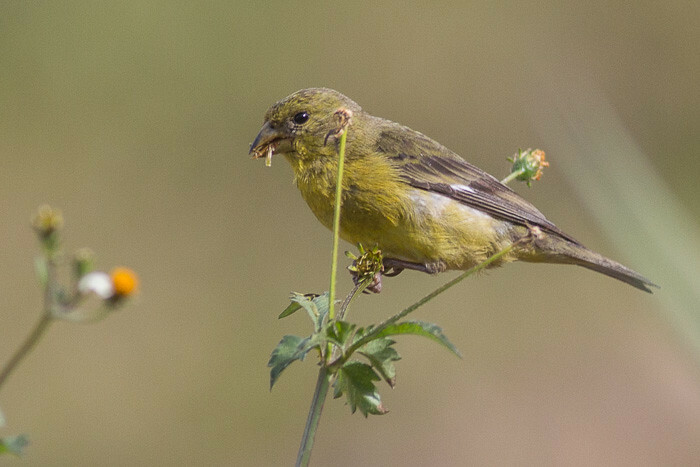 I have a suspicion this is a female Yellow-bellied Seedeater or Variable Seedeater (Sporophila corvina). But not really sure. 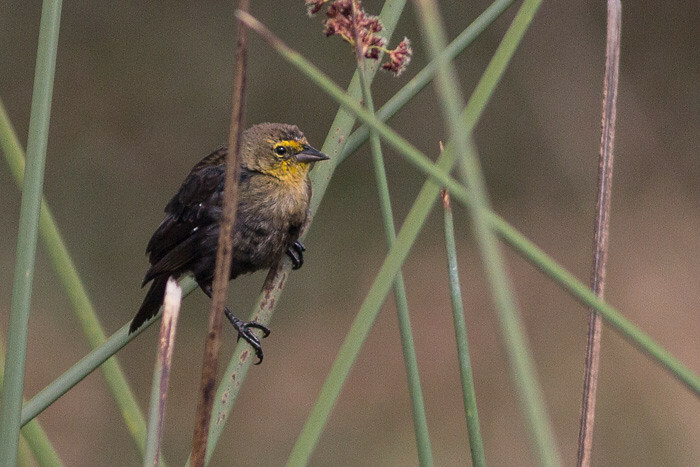 Female seedeaters all look the same to me. 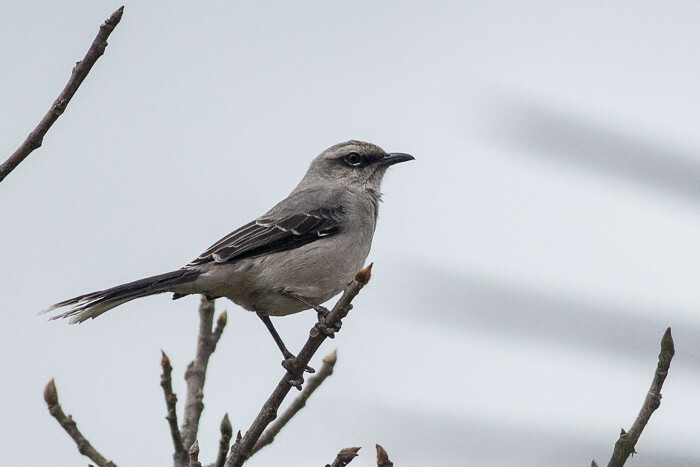 Lovely singing bird is the Tropical Mockingbird. 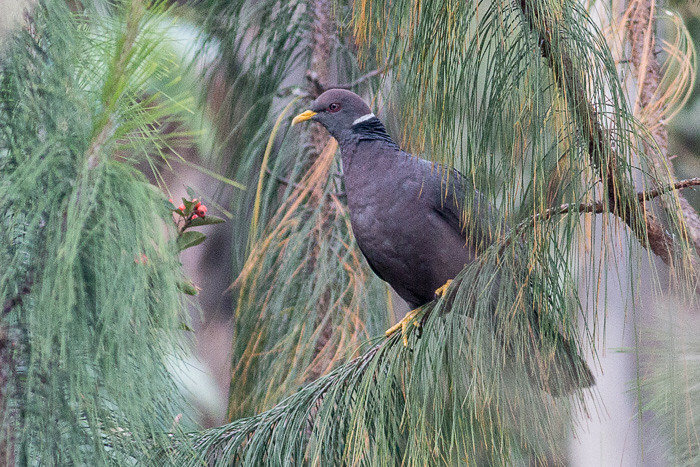 I have only seen the Band-tailed Pigeon once before. I forget where. doh! 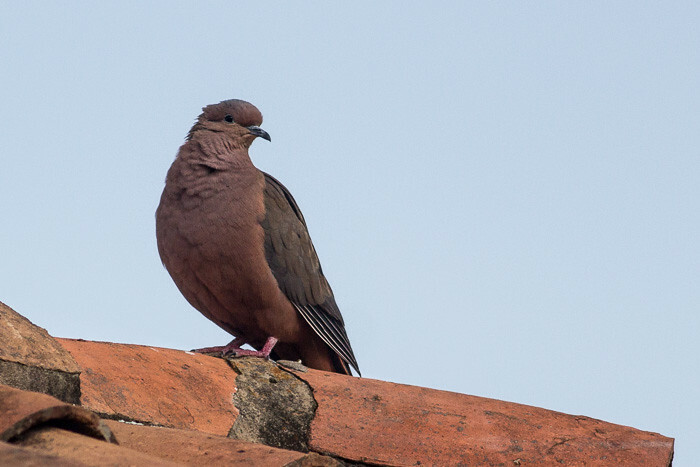 There were lots of different doves and pigeons around the place. 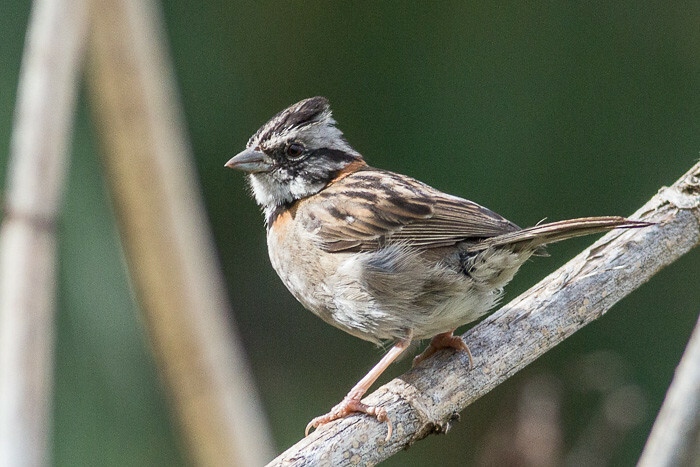 The Rufous-collared Sparrow gets more and more common the further south you go in South America. 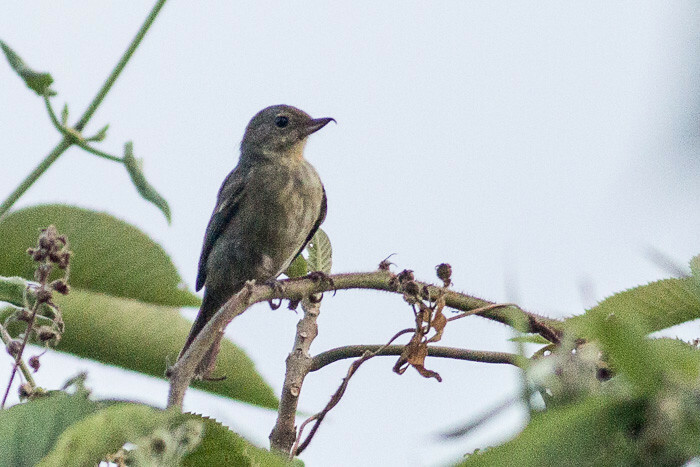 Southern rough-winged swallow ? 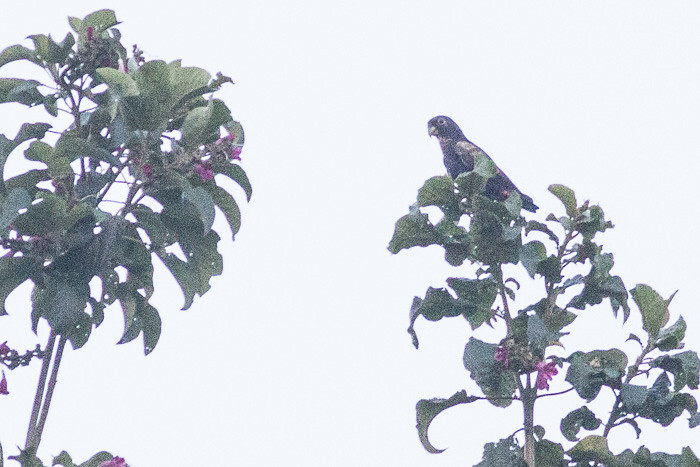 Blue-and-white Swallow ??? 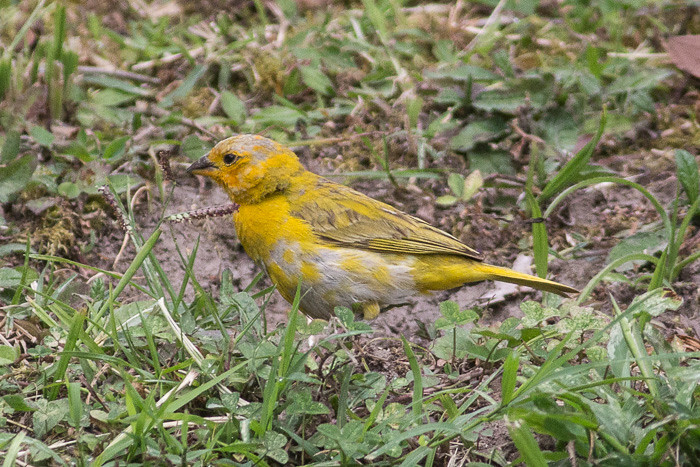 Saffron Finch (Sicalis flaveola) or Grassland Yellow-Finch ?? This is the second folder of the photos I took today. It has taken ages to sort them out. I am all disorganized today due to having wasted the afternoon waiting for a bus for three hours. I got a lift down the hill to the Parque Gallineral and went for a wander around the huge grounds. 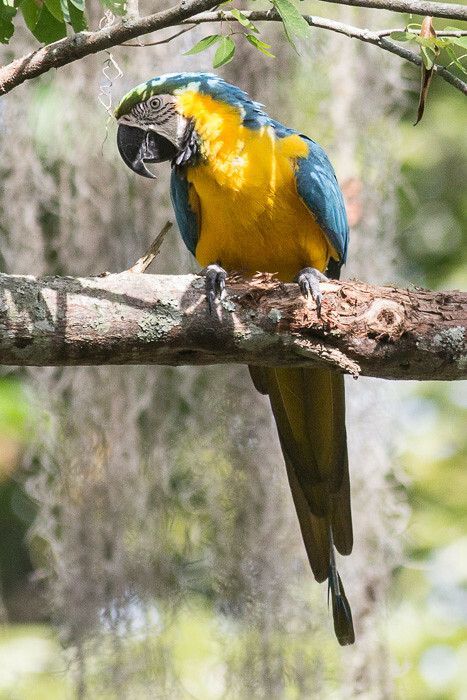 The first thing I came across was this screeching Blue-and-Yellow Macaw. 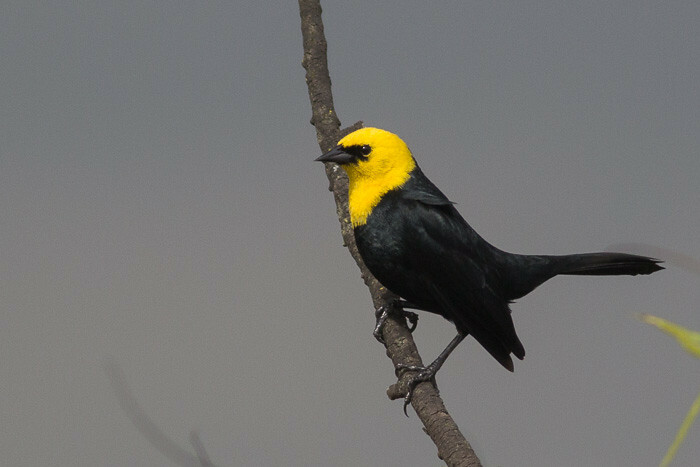 She was doing her best to stay behind branches and jump out of frame but I persisted and finally got a few shots that were half-decent. 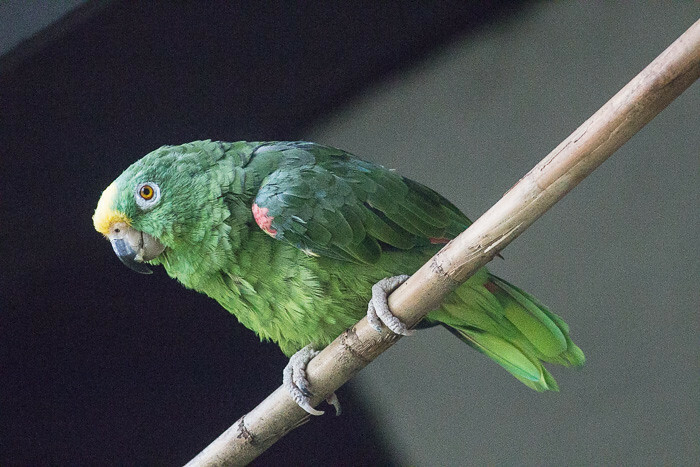 The Spanish name is Guacamayo azuliamarillo. 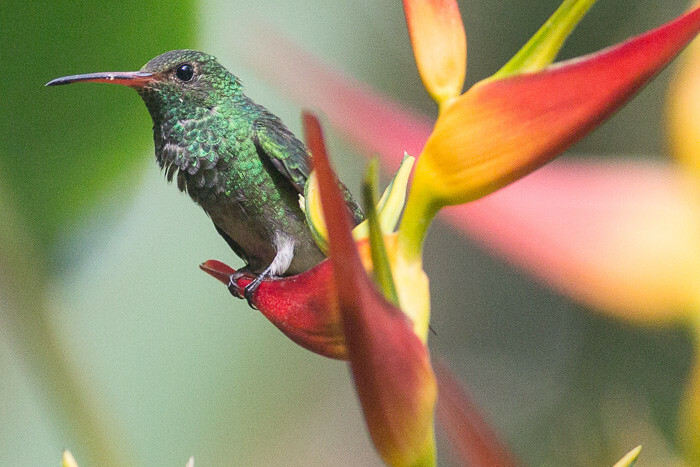 I found a little spot with heaps of colourful flowers and the Rufous-tailed Hummingbirds were having a feast. 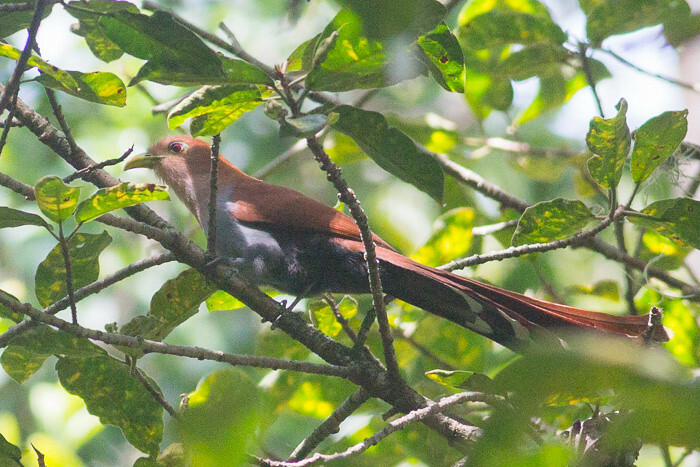 Squirrel Cuckoo (Piaya cayana) Cuco ardilla común. 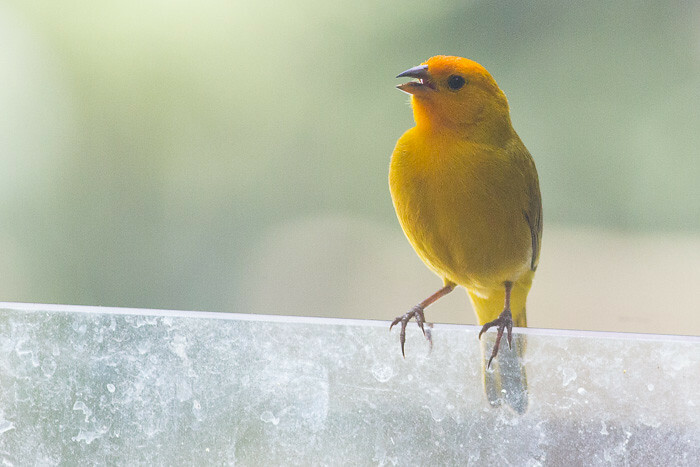 This Saffron Finch was hanging around the swimming pool. Why? I have no idea what this is. Any clues? 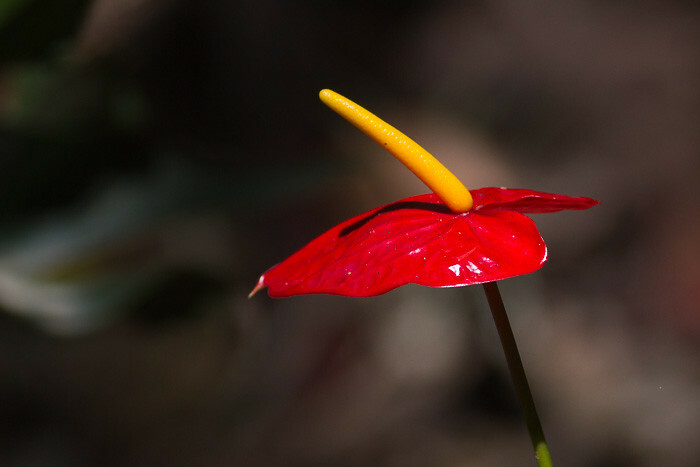 This flower was so glossy. Amazing. 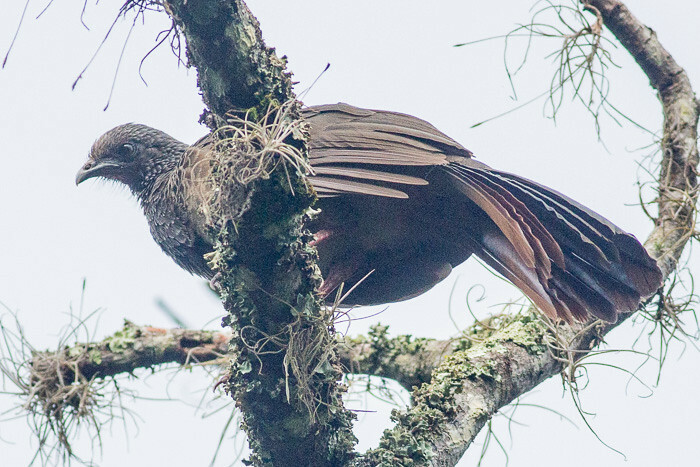 This morning I went up the hill from the hostel on the road to Mogotes and got some photos of the Colombian Chachalaca. 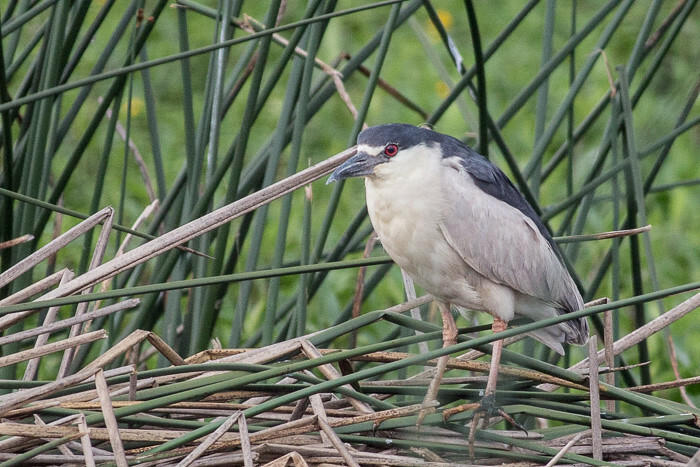 And a few other birds. 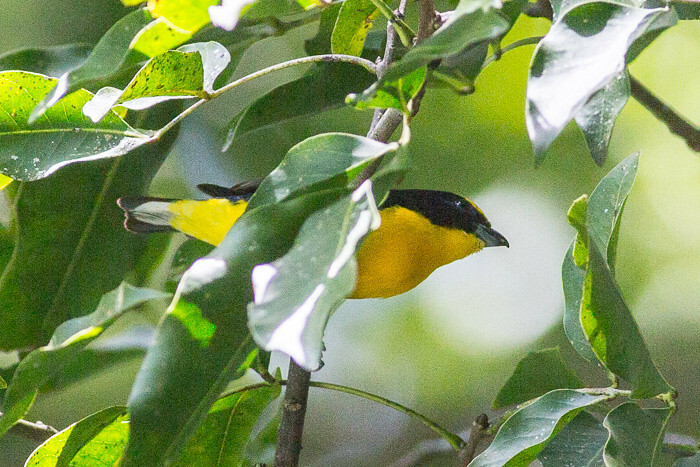 They are really noisy in the morning and and are very hard to photograph because they are always hiding inside the foliage. 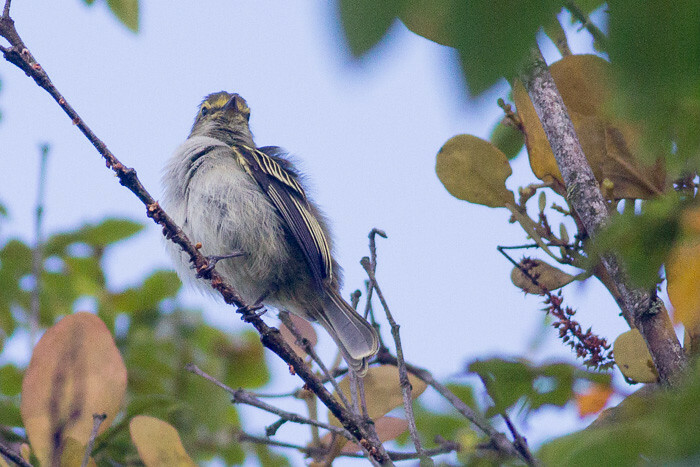 Streaked Saltator (Saltator striatipectus) Guayabero Rayado. 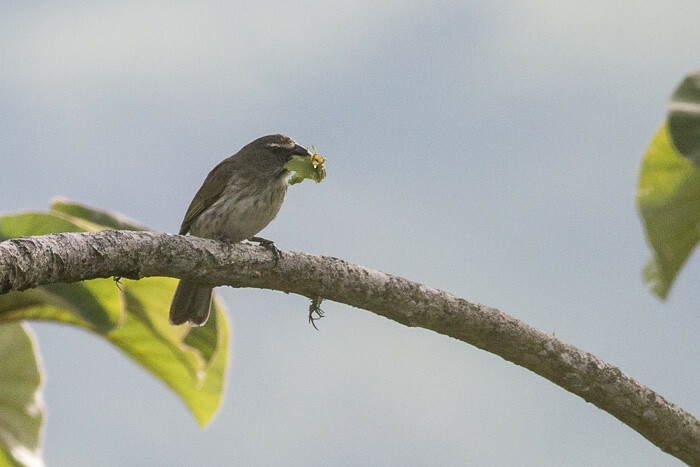 Camillo took me on a walk up the hill a bit on a muddy track and we saw this Streaked Saltator munching away on what looks like a butterfly or mariposa in spanish. 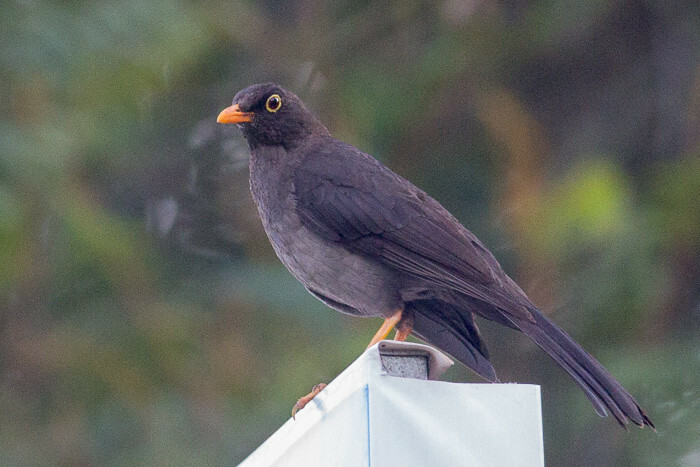 Another bird near the hostel. 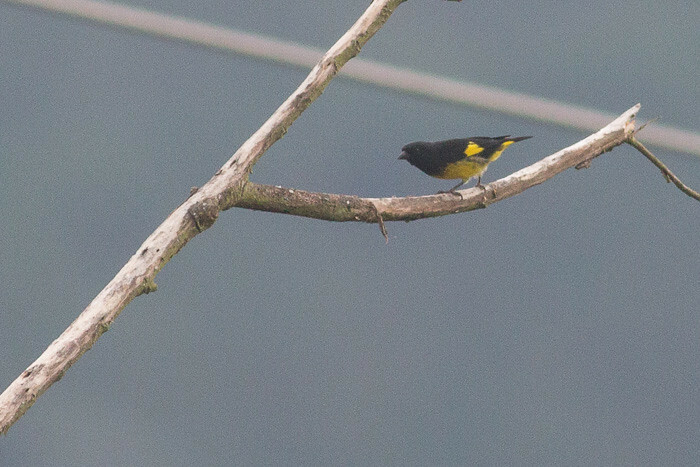 I thought it was a Lesser Goldfinch at first but the two while stripes on the wings made me have another look. Lucky I did. 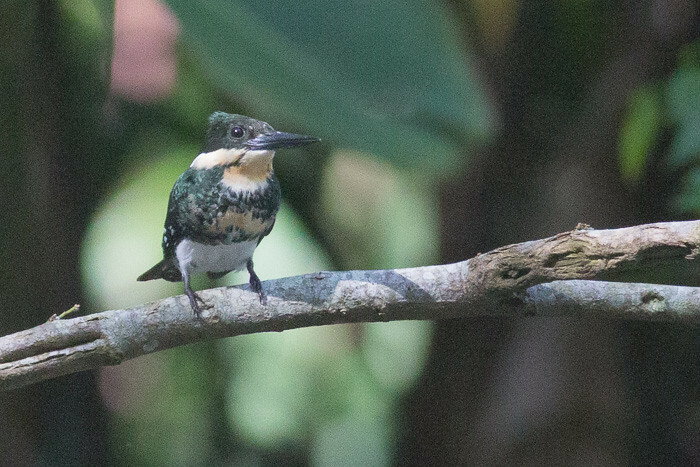 I nearly made another mistake with this Green Kingfisher. I thought it was an Amazon Kingfisher but they have not been seen around here so it must be the Green Kingfisher. 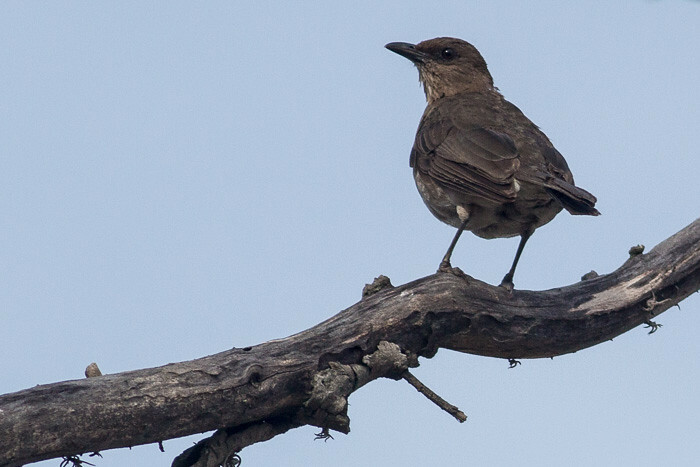 There are lots of Pale-breasted Thrush around. 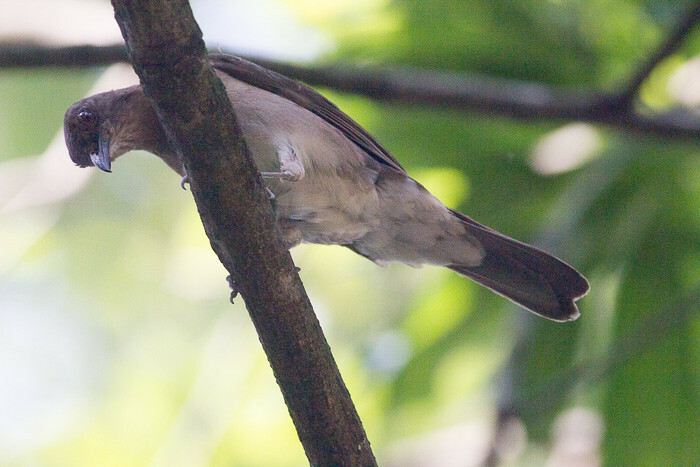 They seem to have replaced the Clay-colored Thrush much of the time. It was a mammoth effort getting from Bucaramanga to San Gil. I had to catch five buses before I got to my hostel on the road to Mogotes, Hostel Villa Isabela. After I settled in for a while and did all my social media thingies, I walked up the hill for a little way with five dogs for company. It was really nice having the dogs with me. 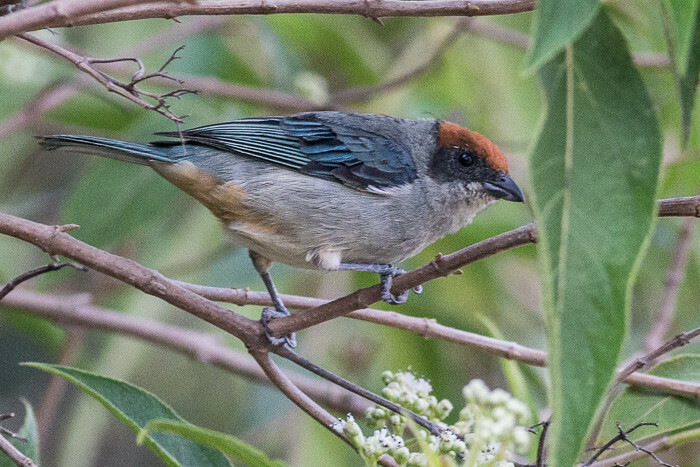 At first I thought this was a Swallow Tanager before I looked at a photo of one, then I realised it was not. doh! Now I am waiting for a decent internet connection so I can find out what it is. 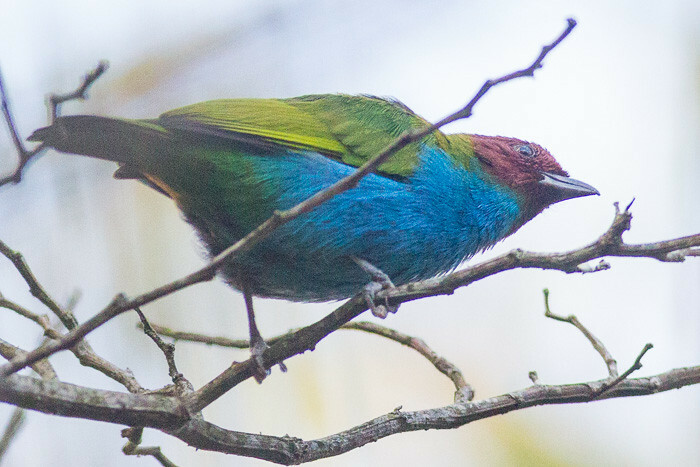 Edit: It is a Blue-necked Tanager, a species of bird in the family Thraupidae. 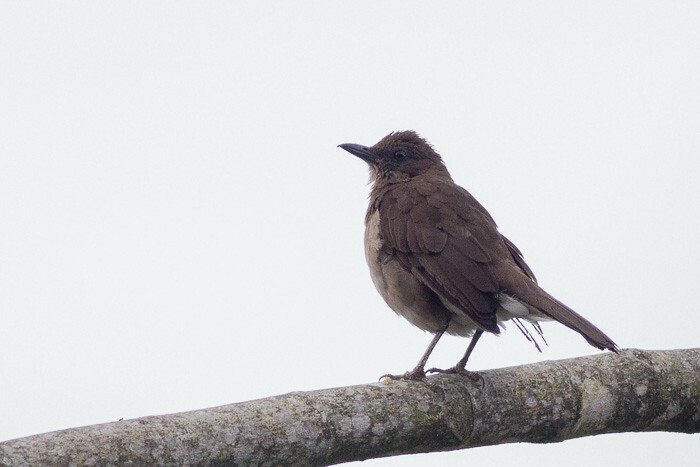 It is found in Bolivia, Brazil, Colombia, Ecuador, Peru and Venezuela. A head on shot. 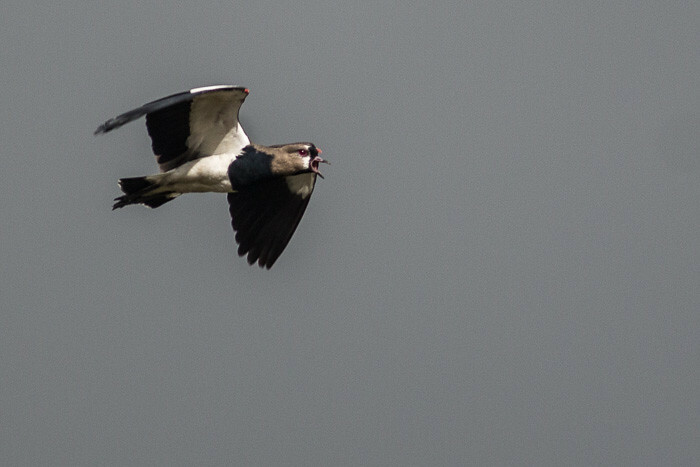 I did not see much else so I chucked a couple of photos in of this species. 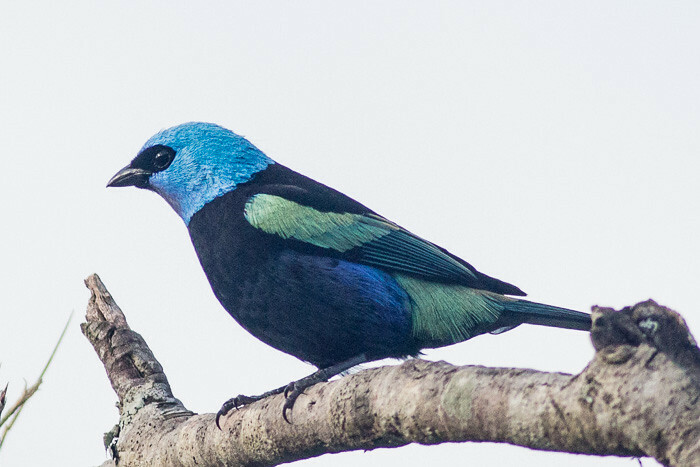 The Spanish name for the Blue-necked Tanager is Tangara Cabeciazul. 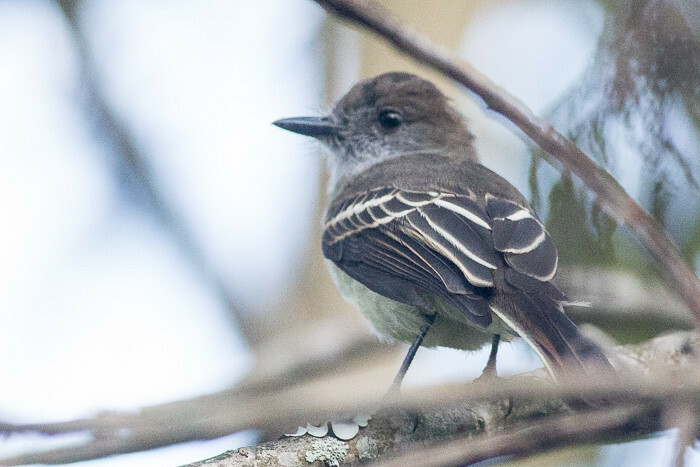 The flycatchers were sitting at the top of a tree and darting out to catch the late evening bugs. 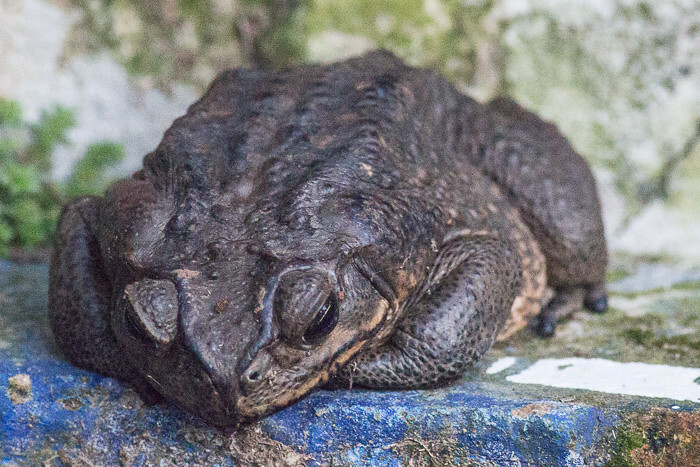 This toad’s real name is Edward but I called him teddy. He lives in a hole in the back yard of the hostel.